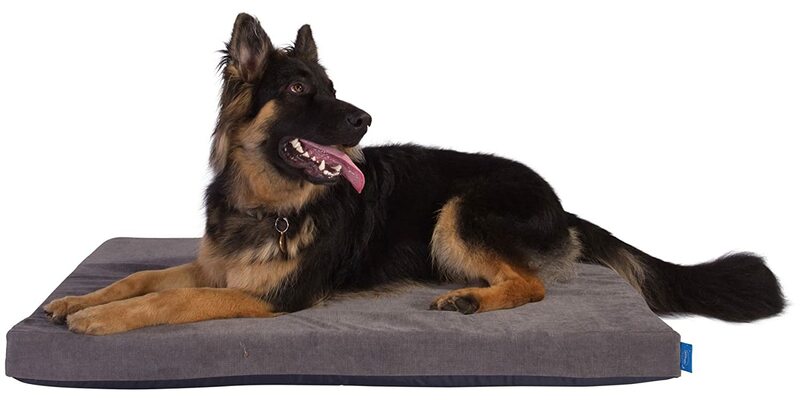 This dog bed set includes a Memory Foam dog bed, together with a durable cover, to create a luxurious, stylish, and incredibly comfortable dog bed, designed with longevity and the health of your pet in mind. At the heart of this dog bed set lies a Silentnight developed memory foam dog bed. Made out of our responsive body moulding memory foam, this mattress provides a gentle surface for your pet to lie on. A Silentnight memory foam mattresses provide a healthy sleep environment & maximum comfort for your pet.